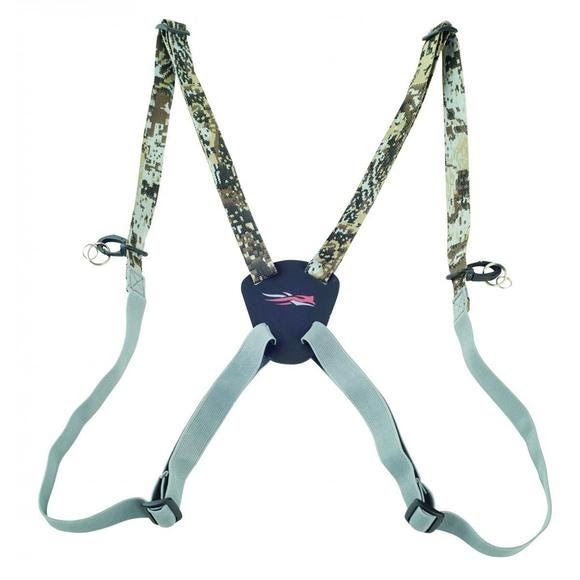 Minimalist in weight and bulk, the Bino Harness from Sitka Gear secures your glass to your chest while charging cross country. Non-elastic shoulder straps hold elevation, while stretch-woven cross straps let you breathe easy. Light weight, we’ll built and perfect for 8x and smaller Bino’s!